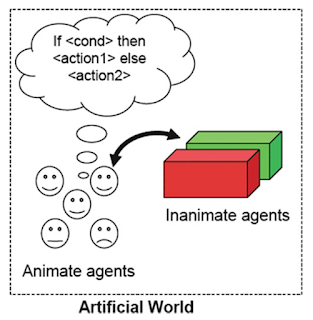 I have recently been thinking about how do people go about implementing human behavior within agent-based models. There are several good papers out their including Bill Kennedy's (2012) paper entitled 'Modelling Human Behavior in Agent-Based Models'. I thought I would attempt to sum up some of these readings in a blog post but also add to how it links to the main properties of agent-based models. Axelrod, R. (1997), 'Advancing the Art of Simulation in the Social Sciences', in Conte, R., Hegselmann, R. and Terno, P. (eds. ), Simulating Social Phenomena, Springer, Berlin, Germany, pp. 21-40. Bonabeau, E. (2002), 'Agent-Based Modelling: Methods and Techniques for Simulating Human Systems', Proceedings of the National Academy of Sciences of the United States of America, 99(3): 7280-7287. Brantingham, P., Glasser, U., Kinney, B., Singh, K. and Vajihollahi, M. (2005), 'A Computational Model for Simulating Spatial Aspects of Crime in Urban Environments.' 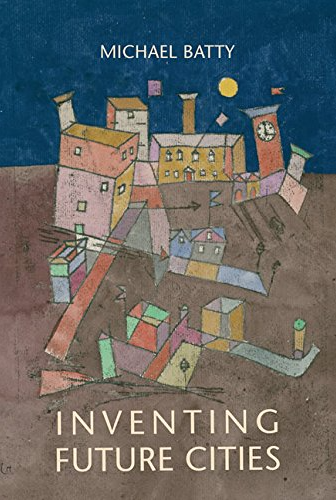 2005 IEEE International Conference on Systems, Man and Cybernetics (Vol. 4), pp. 3667-3674. Crooks, A.T. (2010), 'Constructing and Implementing an Agent-Based Model of Residential Segregation through Vector GIS', International Journal of GIS, 24(5): 661-675. Friedkin, N.E. and Johnsen, E.C. (1999), 'Social Influence Networks and Opinion Change', Advances in Group Processes, 16(1-29). Gode, D.K. and Sunder, S. (1993), 'Allocative Efficiency of Markets with Zero-Intelligence Traders: Market as a Partial Substitute for Individual Rationality', The Journal of Political Economy, 101: 119-137. Hong, L. and Page, S.E. (2004), 'Groups of Diverse Problem Solvers Can Outperform Groups of High-ability Problem Solvers', Proceedings of the National Academic Sciences, 101(46): 16385-16389. Kennedy, W. (2012), 'Modelling Human Behaviour in Agent-Based Models', in Heppenstall, A., Crooks, A.T., See, L.M. and Batty, M. (eds. ), Agent-based Models of Geographical Systems, Springer, New York, NY, pp. 167-180. Malleson, N. (2012), 'Using Agent-Based Models to Simulate Crime', in Heppenstall, A., Crooks, A.T., See, L.M. and Batty, M. (eds. 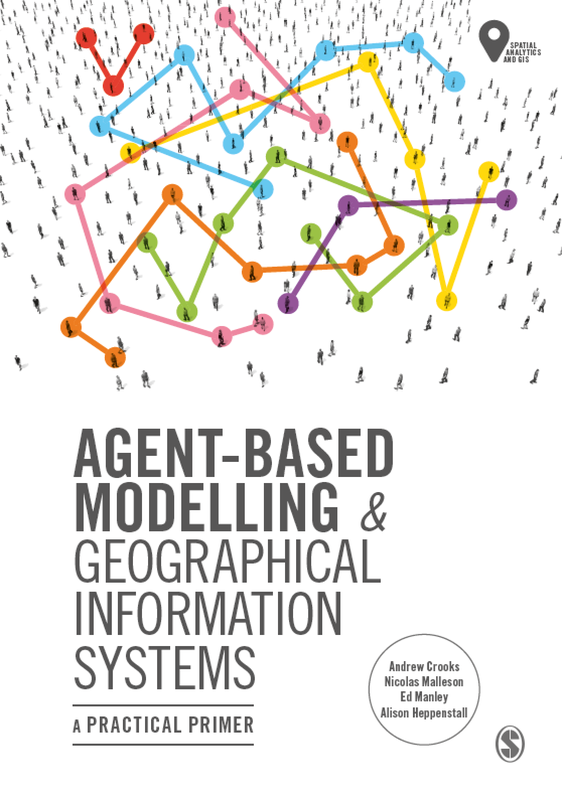 ), Agent-based Models of Geographical Systems, Springer, New York, NY, pp. 411-434. 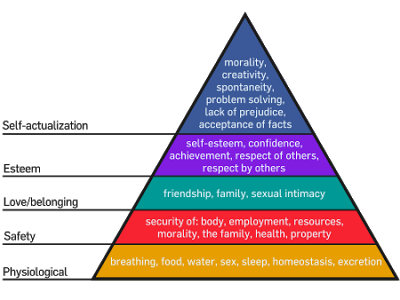 Maslow, A.H. (1943), 'A Theory of Human Motivation', Psychological Review, 50(4): 370-396. Rao, A.S. and Georgeff, M.P. (1991), 'Modeling Rational Agents within a BDI-architecture', in Allen, J., Fikes, R. and Sandewall, E. (eds. ), Proceedings of the Second International Conference on Principles of Knowledge Representation and Reasoning, San Mateo, CA. Schmidt, B. (2002), 'The Modelling of Human Behaviour: The PECS Reference Model', Proceedings 14th European Simulation Symposium, Dresden, Germany. Stanilov, K. (2012), 'Space in Agent-Based Models', in Heppenstall, A., Crooks, A.T., See, L.M. and Batty, M. (eds. 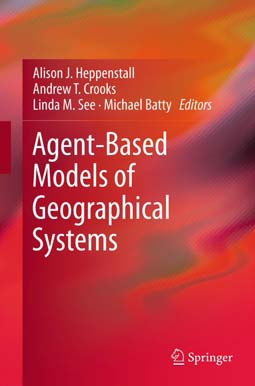 ), Agent-based Models of Geographical Systems, Springer, New York, NY, pp. 253-271. Check out www.IntelligentSoftware.com.au. 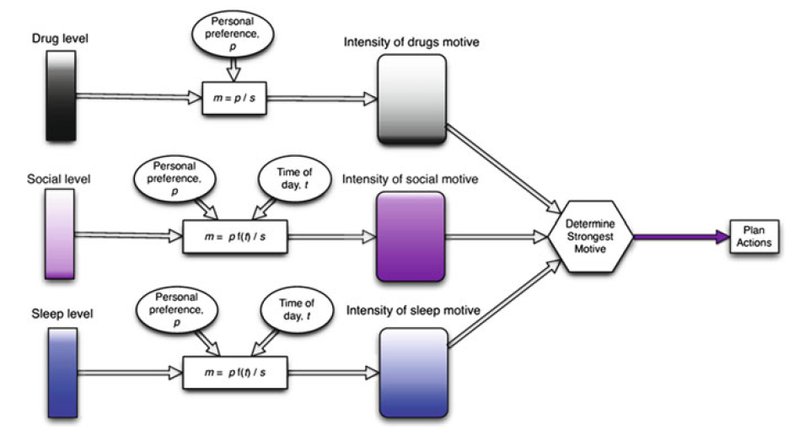 We model human behaviour of whole populations using agent-based modelling.